In a busy school environment, teachers not only lack time to rest but also fulfil an important aspect of their job: collaborating with their peers. This often means that critical opportunities, such as professional growth and strengthening key partnerships within the school, are missed. So what can time-poor educators do to ensure they get the most out of their meetings? According to the Australian Institute of Teaching and School Leadership (AITSL)’s ‘Essential Guide to Professional Learning: Collaboration’, it is important to “create a shared vision where all teachers are personally invested the success of the group”. A shared vision can be supported through setting goals as a collaborative group. “People are more willing to collaborate on work that has a significant personal meaning for them so creating a shared vision of the outcome is important,” the guide said. Given that such meetings tend to occur during tight timeframes, it’s also important that collaborative meetings have a clear focus. “This focus should be specific, measureable, simple, informed by data, easy to communicate and linked to teacher and student improvement,” the guide said. But what about awkward situations in which your meeting is plagued by long silences, low energy and flat responses? A book, titled: ‘Meeting Wise: Making the Most of Collaborative Time for Educators’, by Kathryn Parker Boudett and Elizabeth City, shares some helpful tips for navigating these pitfalls. When there is silence, Parker and City suggest telling the group that silence is okay, signaling that you’re comfortable with the wait time and that you want to hear their responses. “If the group stays quiet, check in and ask: “Why is it quiet? Are you all thinking? Confused? Not interested?” Parker and City explain. When activity isn’t working or there is an energy lull, Parker and City suggest enlisting the help of others in the group. “Say to your group: ‘We seem to be talking in circles. What could help us all go deeper?’” Parker and City wrote. 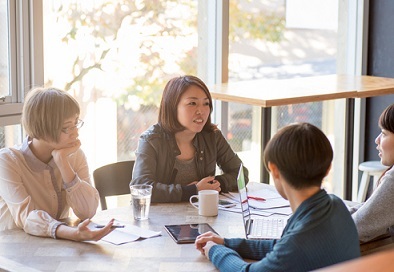 While meetings can be a forum for teachers to exchange ideas and build best practice, they can also spark conflict, explains Micki M. Caskey, the associate dean for academic affairs in the Graduate School of Education at Portland State University. “It can be helpful for your team to develop a conflict management plan and to monitor conflict as it arises,” Caskey told AMLE. Caskey said that by using professional judgment, a team can determine when to explore the roots of conflict and when to provide space for reflection and cooling down. “While sometimes uncomfortable, conflict often provides growth opportunities,” Caskey said. Is accountability hindering best practice in schools?